When it comes to foods that have stood the test of time, tigernuts are one of the most ancient vegetable species to be harvested by man. Historical sources indicate that the Ancient Egyptians (3,000 B.C.) were pioneers in the cultivation of this type of dark brown tuber, and would eat the knotted sedge or Cyperus esculentus, according to taxonomic nomenclature. Currently there are numerous places worldwide dedicated to cultivation of the tigernut, and consequently it is considered a source of sustainable farming. In Spain, the Levante region, is the principal source for the supply of tigernuts to the domestic market, however this tuber can be found in numerous places, owing to its vast appeal as an ingredient that promotes a healthy lifestyle. The tigernut is a food packed with nutritional goodness. This is why it is so often recommended as a suitable food for a healthy lifestyle and as well as for its enormous versatility as an ingredient which can be included in all kinds of diets, such as the ones described above. Eupeptic and digestive, owing to an abundance of enzymes (lipase, catalase and amylase); as a result, it is often singled out as a suitable food for those suffering from gastritis and other stomach conditions. Heart-protective, due to it being high in mono and polyunsaturated fats which reduce cholesterol and triglyceride levels, and at the same time, having a very low sodium content (ideal for those with hypertension). Anti-oxidant, given its high vitamin C and E content, known for their preventive effect on the formation of free radicals in cell membranes. Anti-diarrheal, for its elevated starch and pectin content. Prebiotic, promotes healthy functioning of the intestinal tract owing to its high oligosaccharides content. Anti-anemic, thanks to its rich iron content. Tigernuts, which are composed of 75% dry matter, possess a characteristically high calorie content of 366 Kcal per 100 grams, which making it a high-energy food, but by no means one full of empty calories. The appeal of these energy-giving properties is largely down to the vital role carbohydrates play in terms of our chemical makeup. Out of these, starch is the most abundant, accounting for 30% of the carbohydrate content. The remaining carbohydrate content comprises 16% sucrose, its principle simple sugar, and negligible amounts of fructose and galactose. It’s worth emphasizing that the low presence of glucose yet high sucrose content makes the tigernut ideal for diabetics. Similarly, its lactose-free nature and low fructose content means it is suitable for people who are intolerant to sugar found in fruit and honey as well as those who are lactose-intolerant. While far from being characteristically viewed as an essential source of protein, the tigernut’s 8.7% protein content is not to be sniffed at, especially given the organic nature of its protein fraction. Tigernuts are packed with essential amino acids (arginine, leucine, and lysine), in addition to other non-essential ones (aspartic acid, glutamic acid and alanine). The tigernut is high in fibre and its fibre levels even exceed those of foods traditionally known for their high fibre content, such as oat bran, carrots and chia seeds. The majority of this fibre is pectin, which facilitates digestion particularly in the colon and contributes to healthy bowel movements. Aside from this, extensive research from the University of Miguel Hernandez have shown that the fibre also aids in preventing the development of colon cancer. Tigernuts contain a significant amount of chemical elements which are vital to our body’s metabolism. These include certain macronutrients (such as magnesium, phosphorus, and calcium), but most noteworthy are their levels of iron and potassium, which exceed even those of certain red meats in the case of the former; and those of bananas and avocados in terms of the latter. When it comes to vitamins, the main ones found in tigernuts are C and E, who anti-oxidant effects have numerous health benefits. Omega-9 fatty acids, the most noteworthy of which is the oleic acid content, equivalent to that found in olives or hazelnuts. Omega-6 fatty acids, the most noteworthy of which is lineic acid. Tigernuts, although often stated otherwise, are suitable for people who are allergic to dried fruit. Their gluten-free properties make them suitable for those with celiac disease. These focus on lowering triglyceride and cholesterol levels through cutting out food of animal origin. Now the tigernut’s comprehensive nutritional profile is more widely recognised, in addition to it being an acceptable balanced protein component due to its high iron and essential amino acid content, it proves an excellent ingredient for this type of diet. That the tigernut has now becoming a cash crop for the agricultural sector is largely owed to the tendency for incorporating it into so-called palaeolithic diets, which seek to emanate the eating patterns of our ancestors, unaware as they were of food preparation techniques which can throw diets off-kilter and hamper our efforts to lead a healthy lifestyle. Kosher products are those designated as suitable for consumption by members of the Jewish and Muslim faiths. In both cases, this is for different reasons, albeit these are always religious in nature. Recently however, these foods have risen to the fore owing to the fact that these foods - free from additives and preservatives - are recognized in their own right as natural and healthy. Amongst them, tigernuts have become a regular part of the diet for people looking for organic food sources. 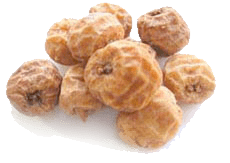 Moreover, the tigernut has abandoned its reputation as a niche foodstuff and become a highly-celebrated food thanks to its ample health benefits.